The newsletters below are available for download and contain patterns and information about Pilgrim attire. This Dress Like a Pilgrim Program Guide contains a 19 page handout for patterns, costumes, and Pilgrim attire. 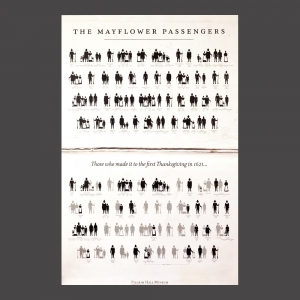 We are descendants of the Pilgrims who journeyed on the Mayflower in 1620. Our committee's purpose is to facilitate the connection between knowledge-seekers and historically accurate information, between educators and materials, between youth and adults. We act as a hub for information. We interact with teachers, the media, the membership and the general public. We create and facilitate educational projects. We link members of the State Societies working towards similar goals. For our membership: to provide opportunities to the young and adult members of the Society to exchange, create and obtain educational information relating to our Mayflower ancestry. For the State Societies of the General Society: to advise, assist, publicize and connect the Societies as they develop their own educational projects. For educators on all levels: to provide instructional materials that will enhance the study of the Mayflower and the settlement of Plymouth Colony. For the general public, the media, other organizations and members of our own Society: to facilitate access to and the exchange of historically accurate information regarding the voyage of the Mayflower, the passengers and the first years of Plymouth Colony. For the Society website: to add to the General Society website an Education Committee link with both access to accurate Mayflower-related educational materials, courses, and opportunities and also the open interchange of ideas and information.